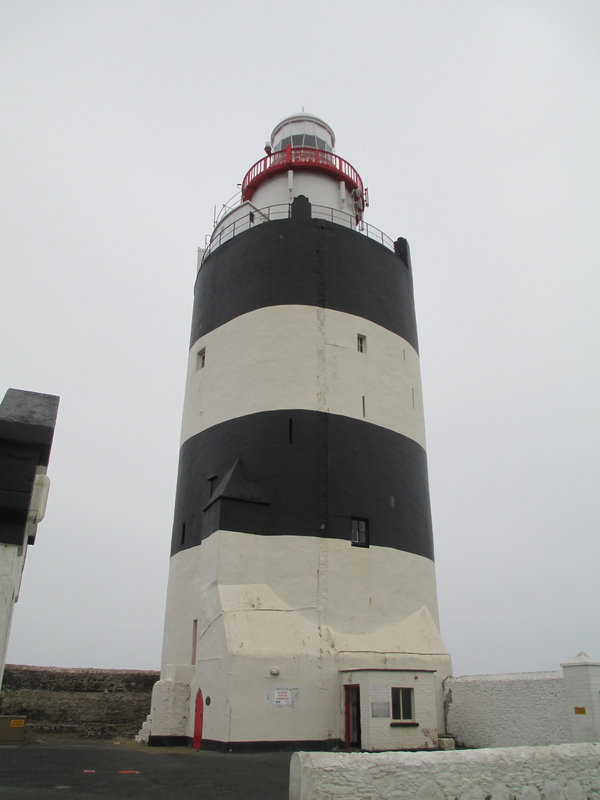 Hook Lighthouse on the Hook Head Peninsula is one of the oldest working lighthouses in the world. 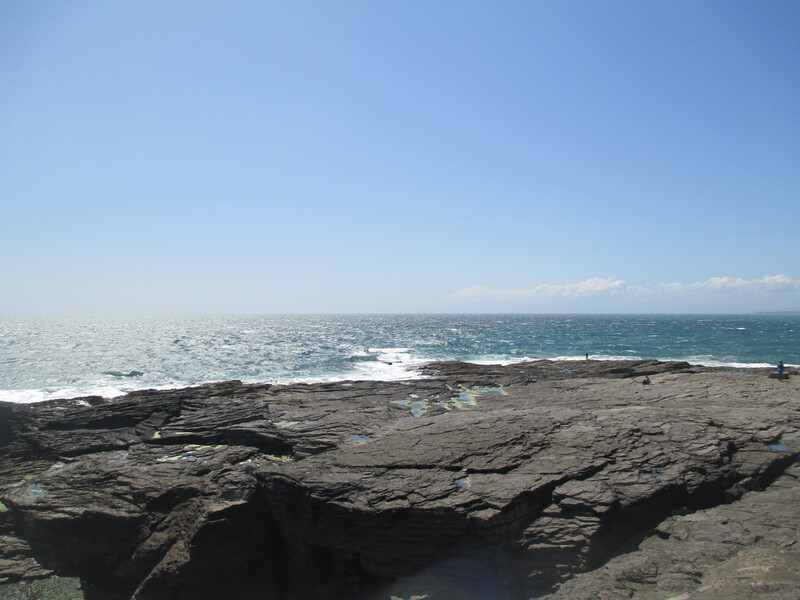 It stands as a testament to the both the danger of the seas around the Hook Head Peninsula and the importance of the travel route that passes its tip. 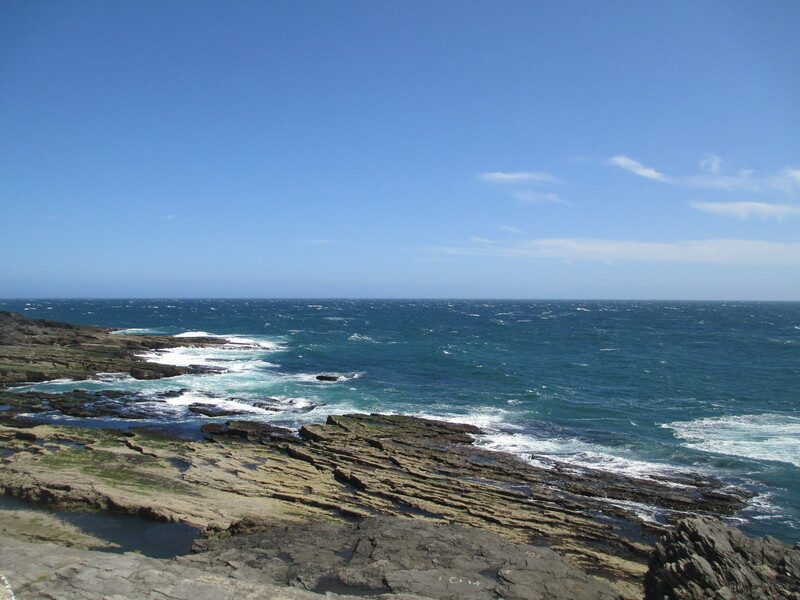 Hook Head Peninsula is at the tip of South East Ireland and is possibly the origin of the saying ‘by hook or by crook’. Tradition has it that when Cromwell was invading Ireland he said he’d take it by hook or by crook, meaning by Hook Head Peninsula or Crooke in County Waterford. Whether this is true or not is very much debatable, but it is a nice story regardless. The lighthouse itself was probably originally begun in the early 1200s on the orders of William Marshal. Marshal came to visit the lands in Ireland that came to him by right of his wife Isabel de Clare in 1200-1201. 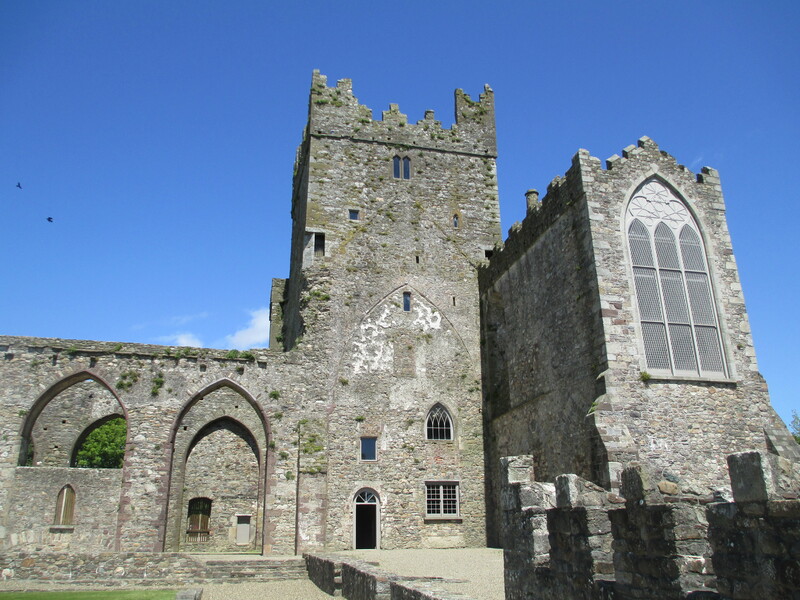 They were caught in a terrible storm crossing the Irish Sea and Marshal vowed to God that if they survived he would found an abbey. The ship didn’t sink and Marshal kept his word. 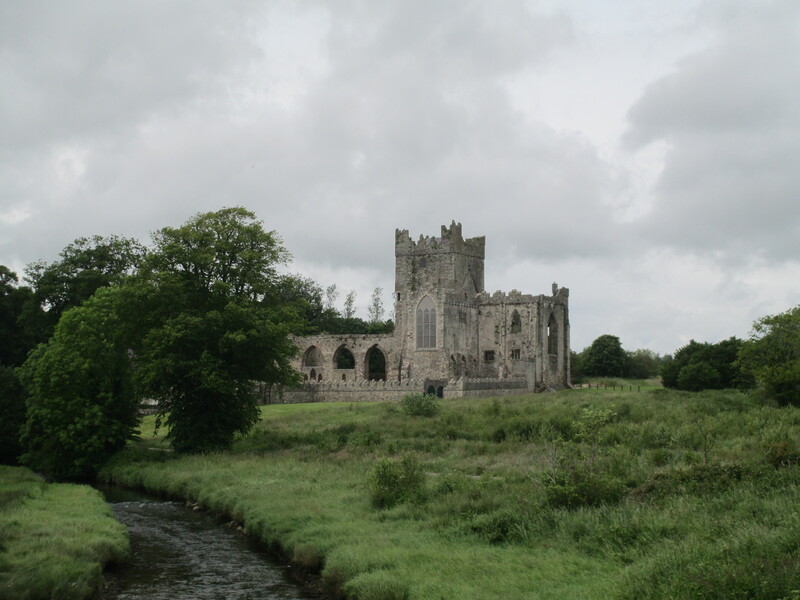 As thanks to God for their survival he founded Tintern Abbey, which also stands on Hook Head Peninsula. It’s known as Tintern of the Vow as well as Tintern Parva, meaning small in Latin. It can be seen below. 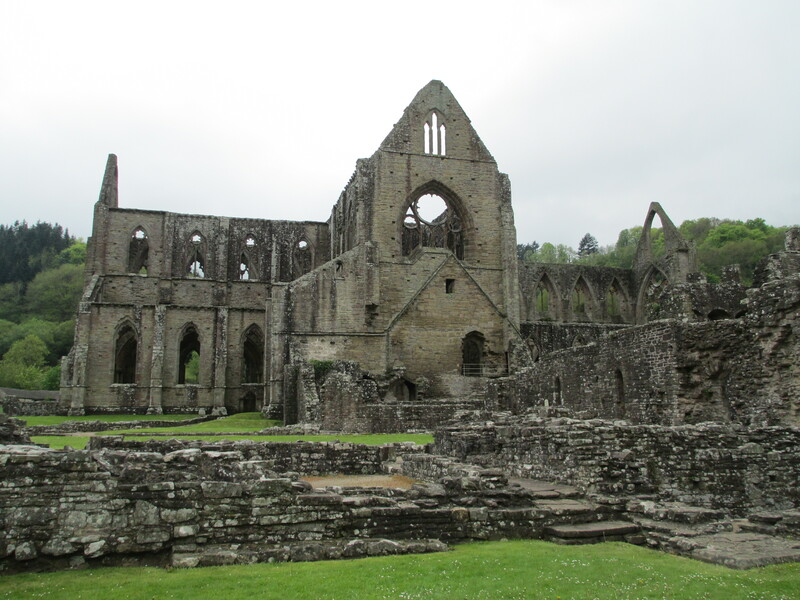 It is a daughter house of Tintern Abbey in wales, which also stood on Marshal land. It can be seen below. Hook Head Lighthouse was possibly begun around c. 1210 as a landmark and to guide ships up to Marshal’s newly built port at New Ross. 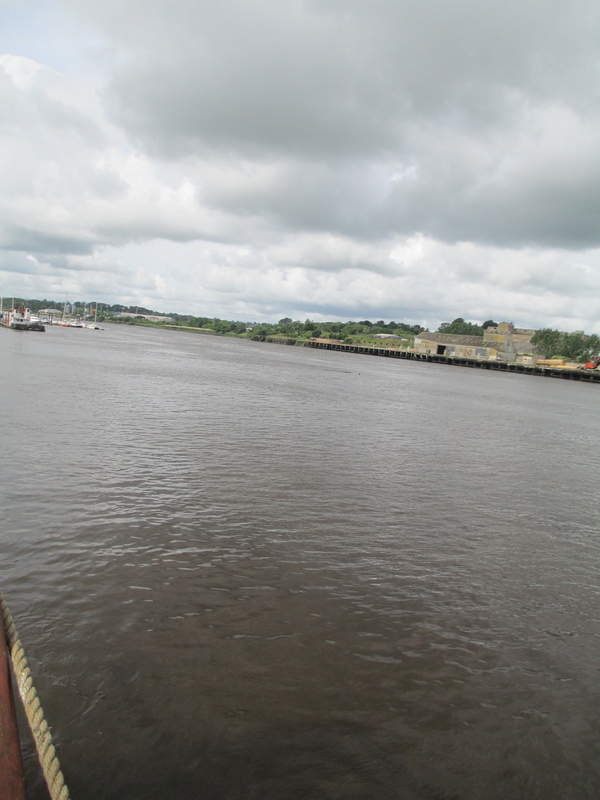 The River Barrow in New Ross can be seen below. The light would have been coal fired and quite simple. 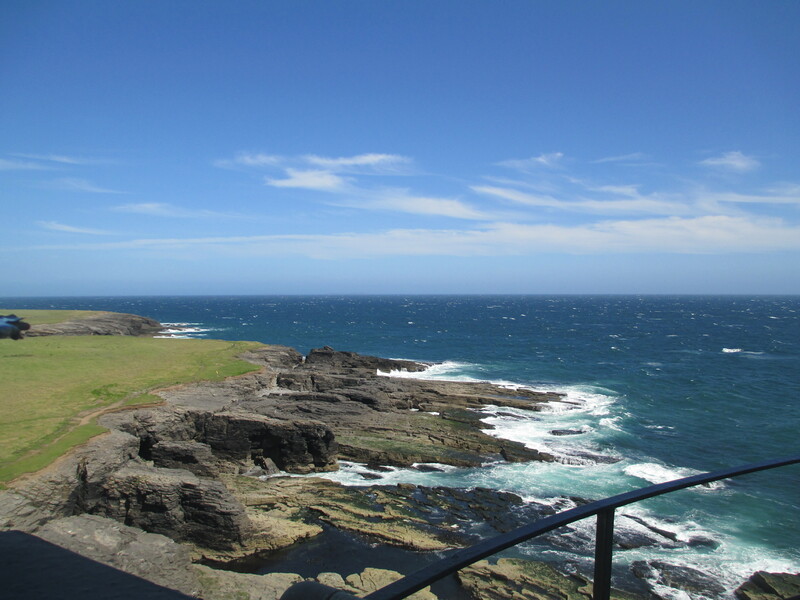 You can see what it looks like now in the photos below, as well as the view from around the lighthouse. 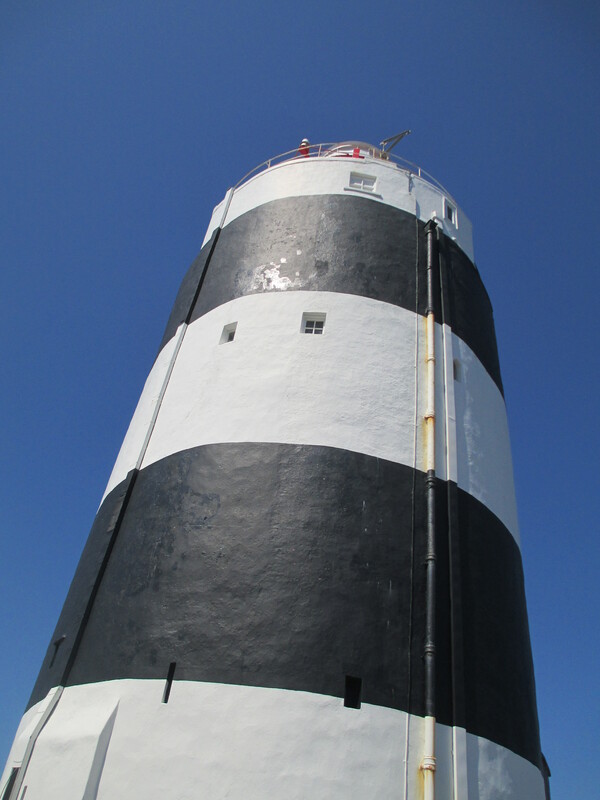 The particular black and white striping is unique to the Hook lighthouse so it can be clearly identified by ships. 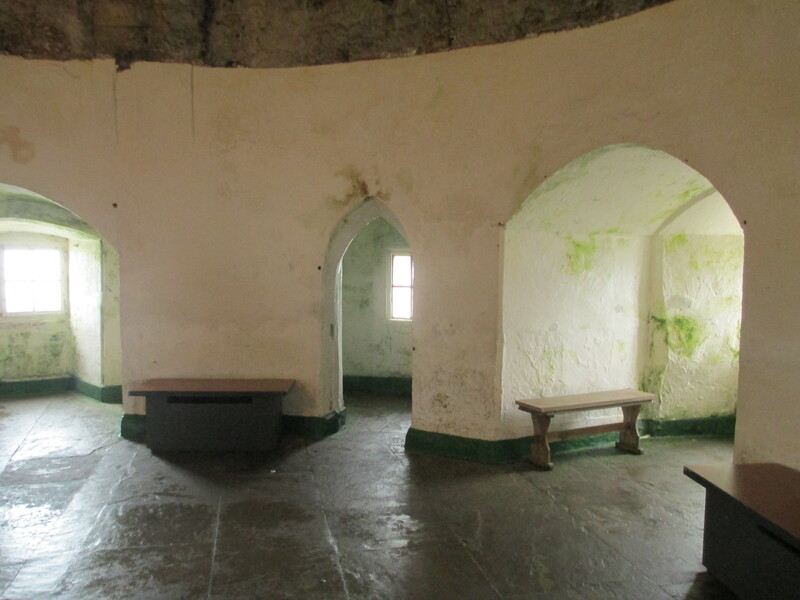 The walls of the lighthouse are between 2-4 m thick and there are currently three main rooms. The secondary lighthouse keepers room and the chief light house keeper’s room. When the lighthouse was originally built it was run by monks and this room would probably have been used as a prayer space. 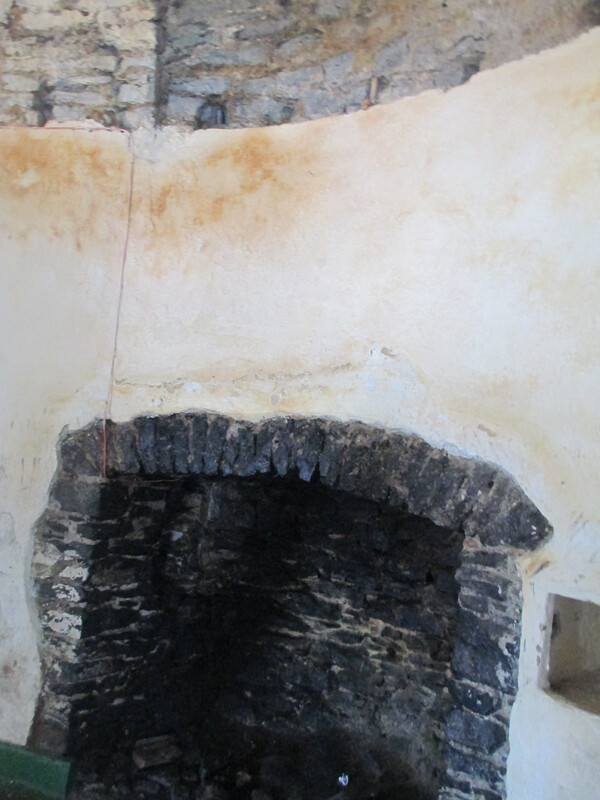 Above the fireplaces in the chief lighthouse keeper’s room you can see some brown coloured stains. These are the ox blood that was used in the plaster. The heat of fires has brought it to the surface. It is possible that some of the plaster was original. It was made with straw and horsehair and ox blood to tie it together. Tradition has it that there was some form of light on this position before Marshal had his constructed. In c. 500-1000 CE St Dubhan founded a monastery in roughly this position and the monks used to light a beacon fire to warn ships. The first historical record of the light is in the 1240s when the monks from Churchtown were installed as lighthouse keepers. It can be presumed that they continued as such until the dissolution of the monasteries under Henry VIII. 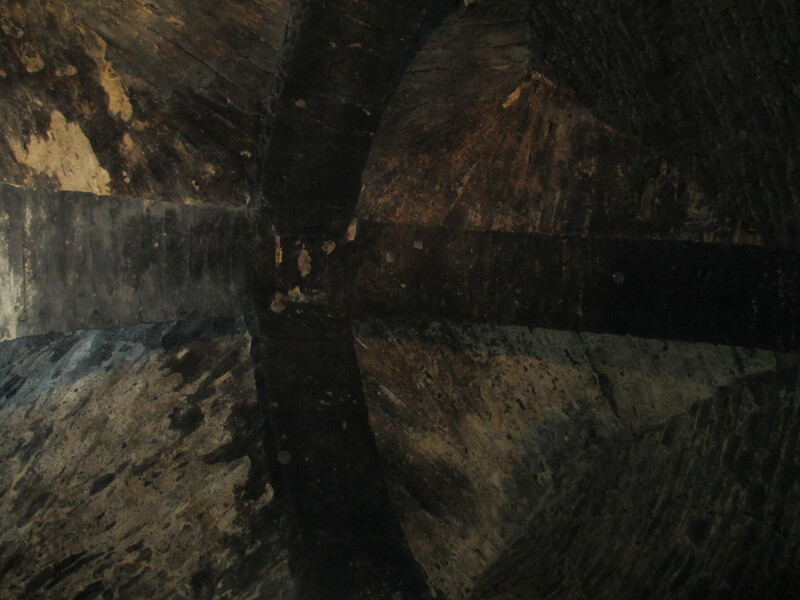 By the 17th century the light was untended, but numerous shipwrecks and complaints led to its restoration in the 1670s with the first glass lens to protect the coal fire. 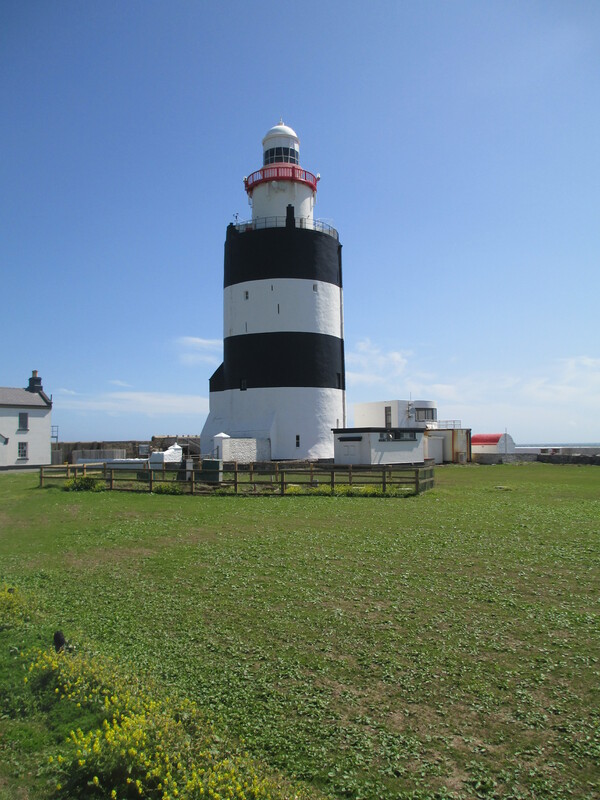 In the late 1600s the lighthouse came into the possession of the Loftus family and they leased it to the authorities in 1706. Following repeated complaints the coal fired light was replaced by an oil burning lamp in 1791. In 1871 new gas lights were installed, powered by gas which was manufactured in the gas yard. Paraffin oil subsequently became the source of power. In 1911 a clockwork mechanism was installed so the light became a flashing one rather than a fixed beam. It had to be wound every 25 minutes. In 1996 the lighthouse was automated ending 800 years of lighthouse keepers. 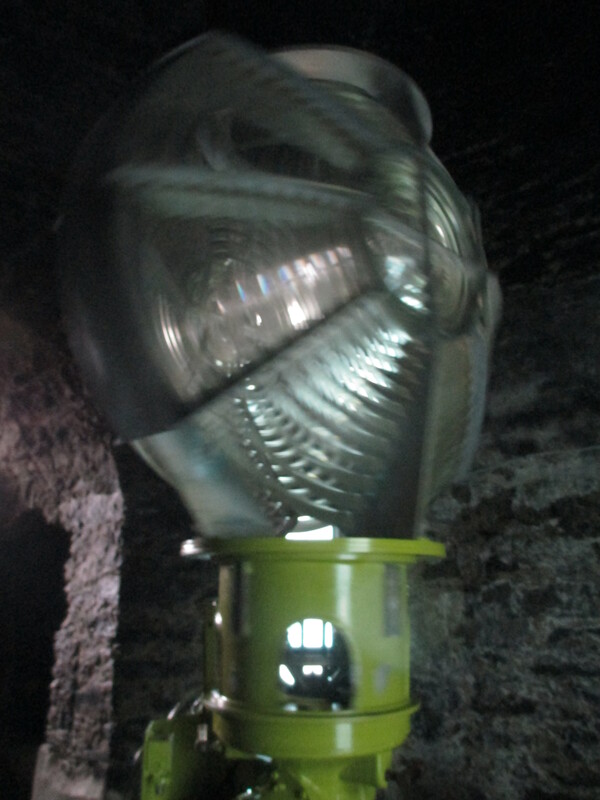 The current light is not open to the public, but a slightly earlier version can be seen in the coal store. It is made by Aga. Hook lighthouse has a fascinating history and the building itself is truly beautiful. What you can’t quite see in the photos is how tactile the walls of the lighthouse are. It curves in a way the photos just don’t translate. 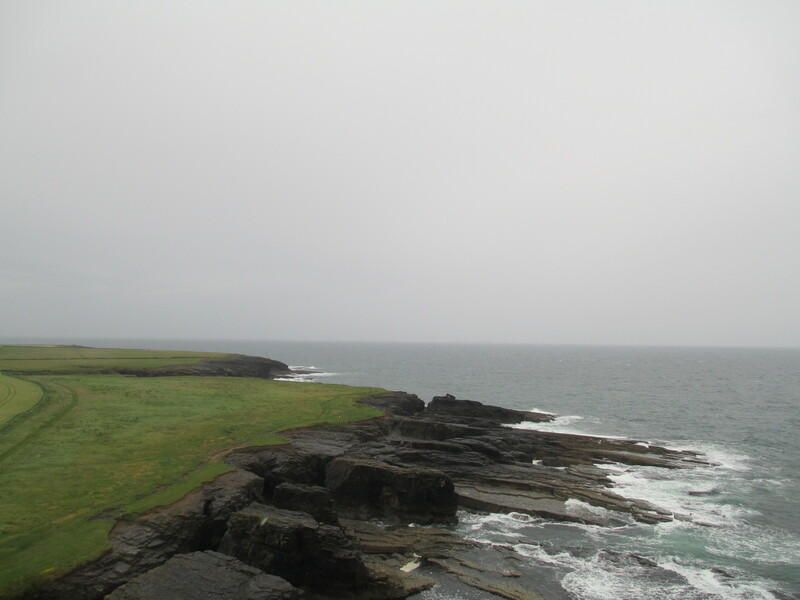 I’ve been to Hook Head twice. But whatever the weather it is a spectacular building, a spectacular setting and as one of the oldest operational lighthouses in the world a real historical treasure. Not to mention it was probably begun by William Marshal, one of my favourite historical people. If you ever get the chance it is an amazing place to visit.